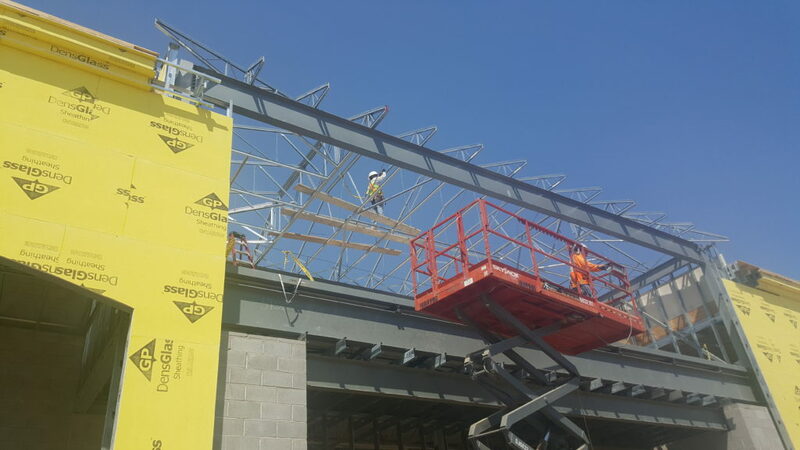 Trusses going up! 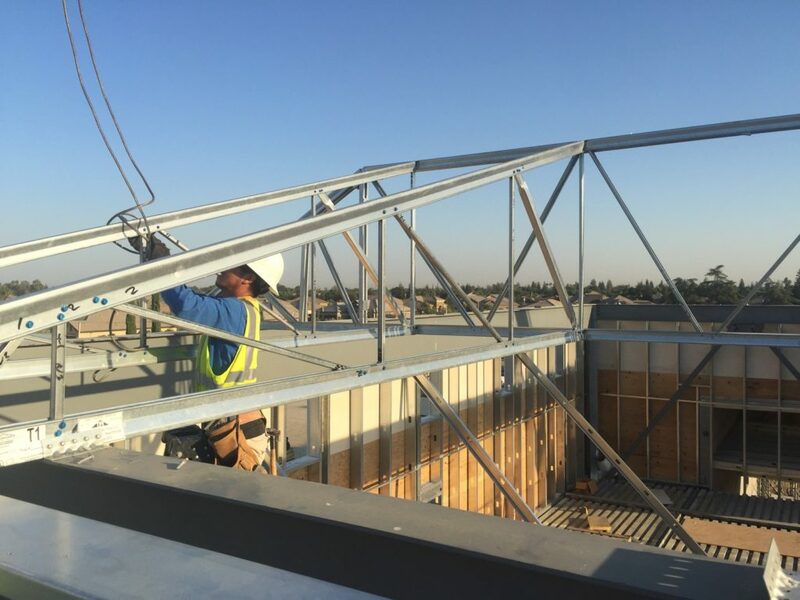 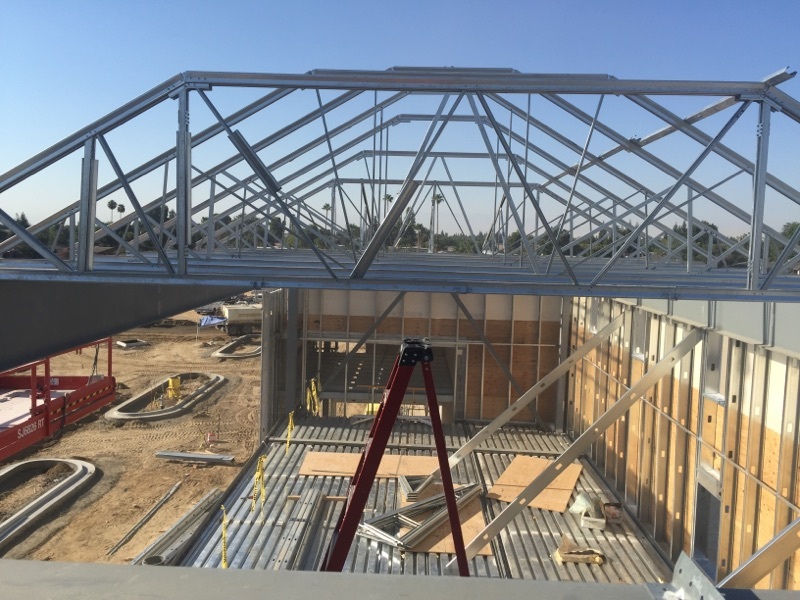 | West Coast Drywall Construction Inc.
WCD is onsite at the WalMart #3139 location in Bakersfield, Ca. 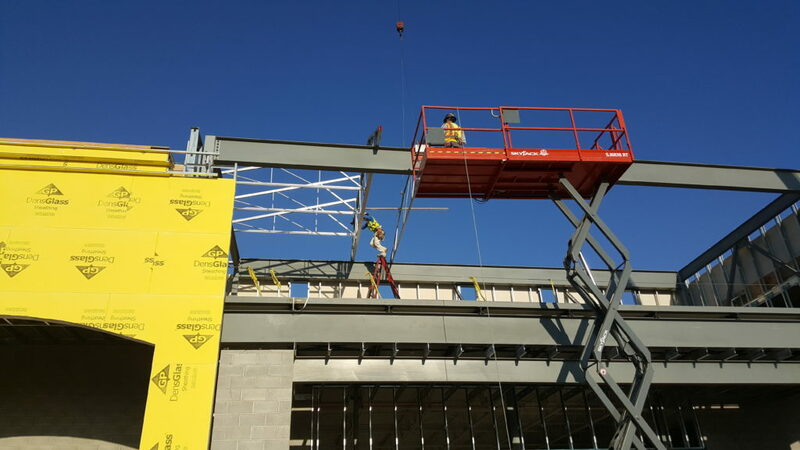 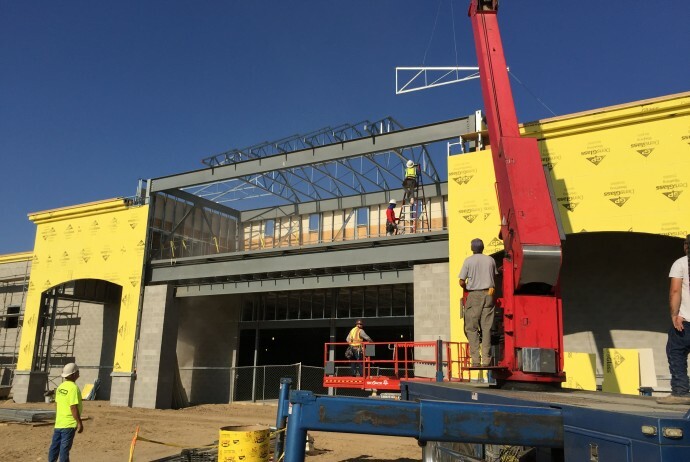 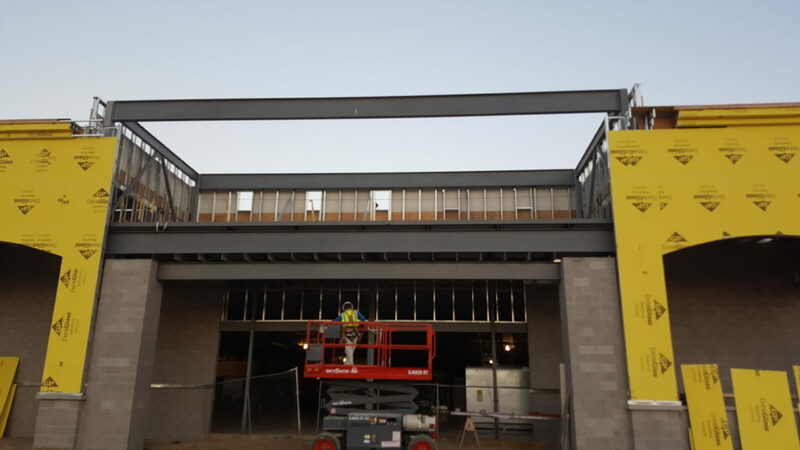 this morning installing prefabricated metal trusses over the storefront tower. 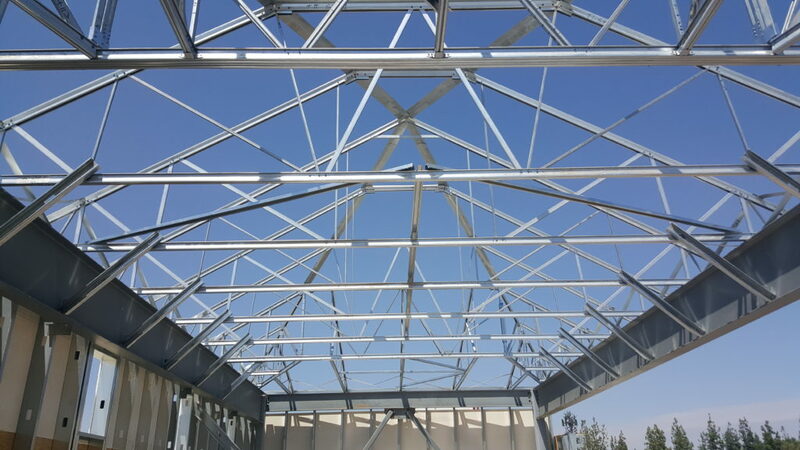 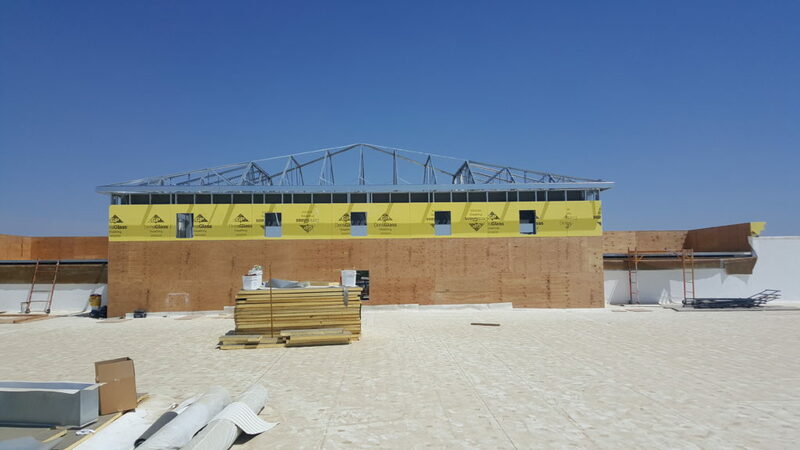 The trusses should take a day to set in place with a crane, then we will begin installing the blocking and fascia components.